Here at the Capalaba Tavern we have introduced the House of Schnitzel. Whether you like yours plain or with a topping, we've set out to make the finest Australia can find. Generously cut from premium meat, lightly tenderised, coated with flour, beaten eggs and breadcrumbs and cooked to order, with passion and care. We only use premium Australian chicken, hormone and antibiotic free. And high grade, tender portions of Australian beef and pork. Your only task is in choosing between a traditional Schnitzel or one of our sensational, schnit-a-licious toppings. Capalaba Tavern has 29 different toppers to chose from whether you’re a meat or seafood food lover there is something for everyone. So come down and try one. At House of Schnitzel, we've got Schnitzels covered! We are very proud of our spacious and comfortable gaming room featuring a host of linked jackpots including Jackpot Carnival, Lightning Link and Rapid Fires. 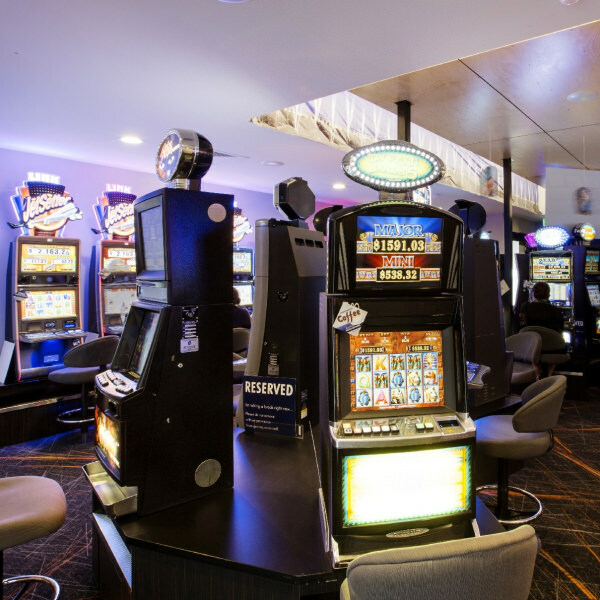 Capalaba Tavern’s Gaming room has a fully stocked bar, offering complimentary coffee and soft drinks to all our valued patrons, complimentary food throughout the day ranging from delicious sweets & cakes, a mix of hot Asian, Australian and seafood inspired platters and homemade sandwiches. The Capalaba Tavern boasts the friendliest and most knowledgeable gaming attendants in the Redlands Area. We offer extraordinary service and always with a smile hoping to provide you with the best gaming experience in Queensland.